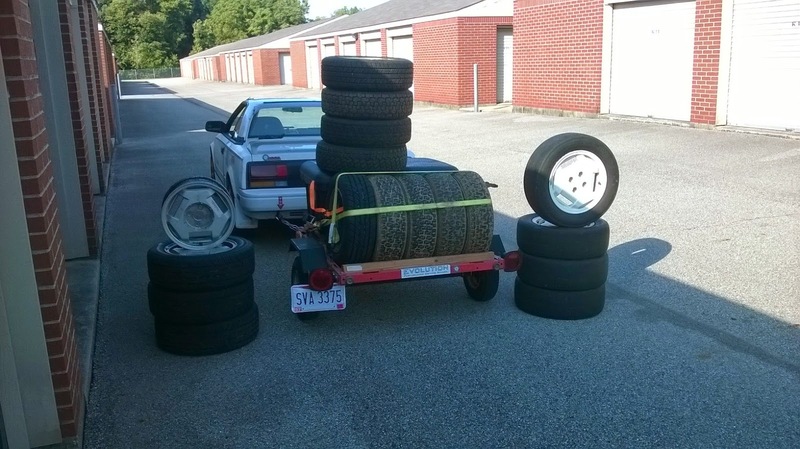 Starting a used tire company can be a daunting weekend task. The first order of business is to find enough abandoned tires (usually found on freeway on-ramps and in the trunk of other people's cars -- they aren't using that 5th tire anyway) to reach critical mass and then you need a marker/signage. Skip all that boring middleman work and just get this turnkey setup, it comes with 1 and 3/4 sets of rally tires, a set of slicks, and 2 sets of street tires. Also a tire trailer. And the AW11 tire testing machine. 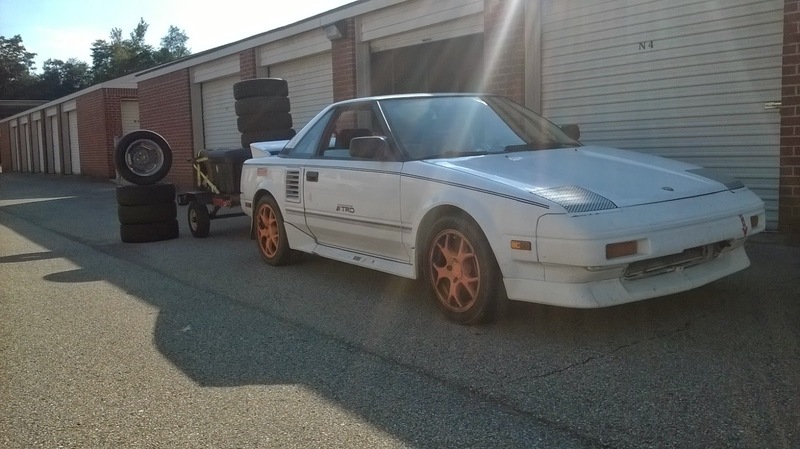 The AW11 generation MR2 is a favorite of autocrossers and apex hunters around the world, its 4A-GE inline-4 puts out 112 horsepower, which is more than enough to push the 2300 lb chassis around with some verve. If that isn't enough power, you could swap a motorcycle engine into the passenger seat, but I wouldn't recommend it if you are part of a cooperative carpool. How do you know you've arrived in style? Your tack is bigger than your steering wheel and neither are bolted in place. Somebody buy this thing from Slowboy because he says: "I have 3 cars too many, and this is the slowest one, so it needs to go so I can afford stepped headers for my z4m." Who needs stepped headers when you have a tundra...? Thanks for the write up, it's hilarious as usual. I'm surprised nobody's making snarky comments. Somebody make me an offer, I don't have time or space for this thing. I think we're all still trying to figure out what the hell a "tack" is. Tach was the word I was trying to find. As in tachometer. The gauge that measure tackiness on sticky surfaces. I'm getting all confused again. Where did I put my beer...? I assure you, it's screwed down to the dash. It's wired up, too. It wasn't even installed by the previous owner. He paid a pro to do it. 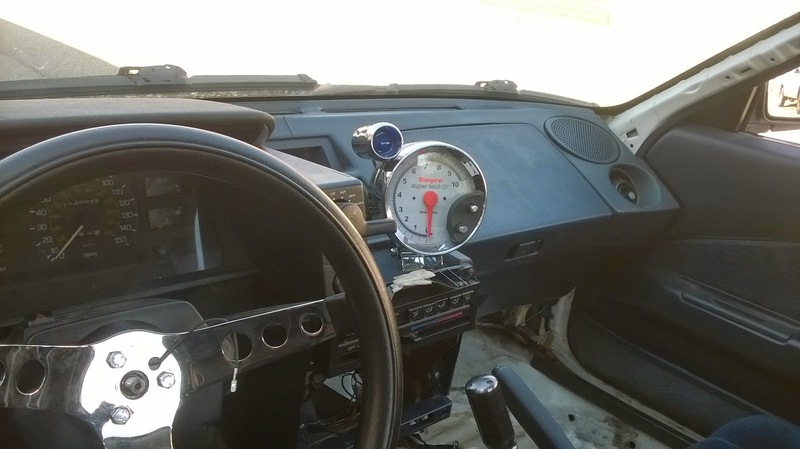 The steering wheel is bolted in too. You can't really pull it off without trying. But if you actually try, I bet you can remove the entire column. Then you can can lift it by hand and change a tire without tools, because you're clearly a hydraulic-robot-gorilla.